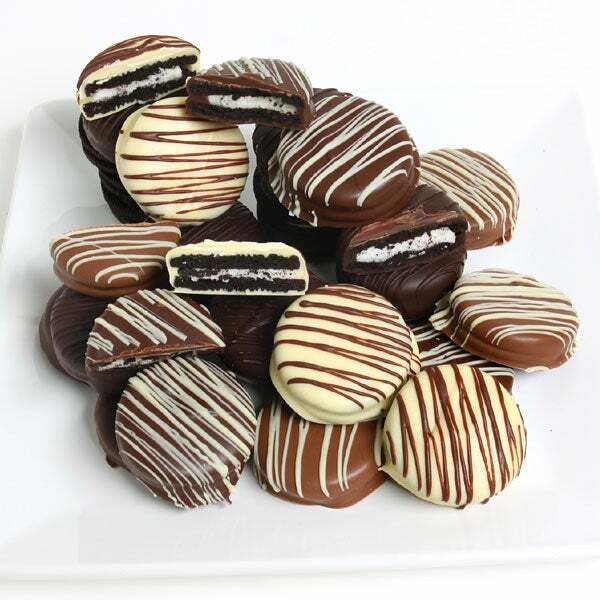 Triple Chocolate Dipped Oreo? Cookies is rated 5.0 out of 5 by 4. Rated 5 out of 5 by Kdods from Good Oreos! I got these for my husband at work and he LOVED them! Meant to just eat a few but ate all of them the first day because they were great. Rated 5 out of 5 by Catbirdk from great east gift to have shipped My friend just got this and was delighted!!! it is so easy to get all my shopping for friends and co-workers done! It sounds impossible, but we've made the already delicious Oreo® Cookies even better. We've smothered them in rich white, milk, and dark Belgian chocolates, then elegantly embellished them with ribbons of a silken confection drizzle.